Larus cachinnans 4CY 7P02 May 17-23 2007, Łubna landfill, Poland. Picture: Ruud Altenburg. Green 7P02. 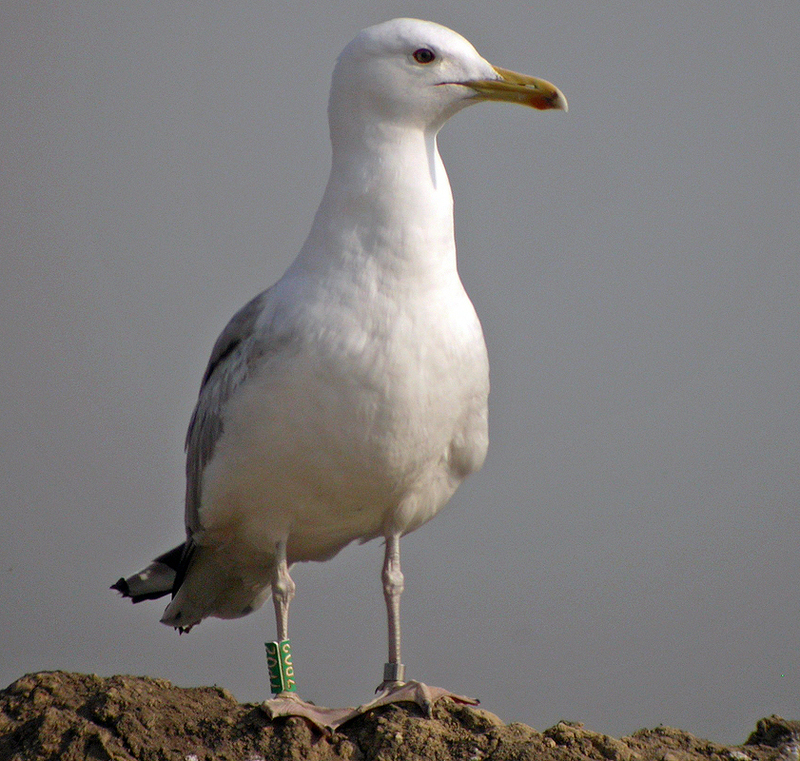 Bird probably ringed as pullus in 2004 in the mixed colony of Wisla Wloclawek Kujawsko, Poland (52°39'N, 19°08'E). 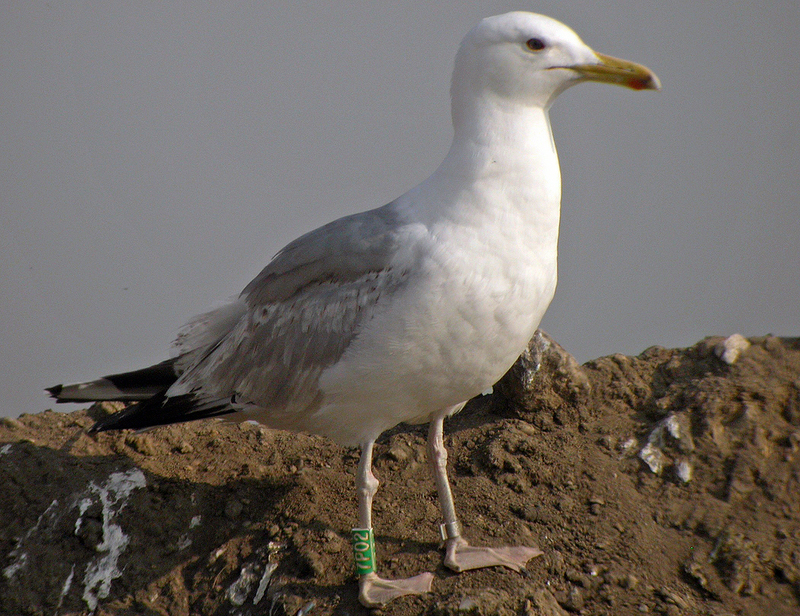 Short stubby legs more reminiscent of argentatus, but in general much like cachinnans. with parallel bill, small head and large mirror on 3rd gen P10.